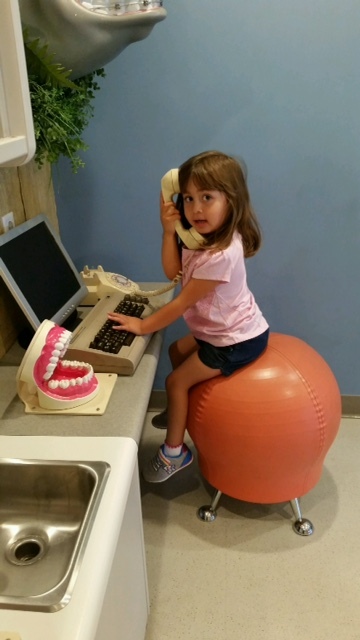 Windsor Dental Group loves the Children’s Museum of Sonoma County. They have a wonderful state of the art dental office that kiddos can try out to see if this profession meets their career goals. Shown here is Elena who enjoys scheduling and interacting with patients over the phone.